A child from Honduras is brought to the United States Immigration and Customs Enforcement office in Grand Rapids, Mich., Tuesday, July 10, 2018. Two boys and a girl who had been in temporary foster care in Grand Rapids have been reunited with their Honduran fathers after they were separated at the U.S.-Mexico border about three months ago. A federal judge may decide this week to impose some kind of punishment against the Trump administration if he determines that it failed to meet his deadlines to reunite immigrant children separated from their parents. Though the image of Attorney General Jeff Sessions or Department of Homeland Security Secretary Kirstjen Nielsen being carted off to jail is unlikely, U.S. District Judge Dana Sabraw does have several options to force the government to speed up the reunification process. Legal experts said the judge could threaten contempt of court – and jail time – against lower-ranking members of federal agencies, could order hefty fines or order the agency heads to appear in court as a form of public shaming. Stephen Yale-Loehr, an immigration law professor at Cornell Law School, said even those sanctions would be difficult to enforce because they would surely draw government appeals. That's why a more symbolic finding of contempt of court, without much punishment attached, may be the limit of Sabraw's ruling. "The court of public opinion, and the admonition by the judge, may be about as much as anyone can practically do at this point," said Yale-Loehr, who signed onto an amicus brief against the government in a lawsuit. 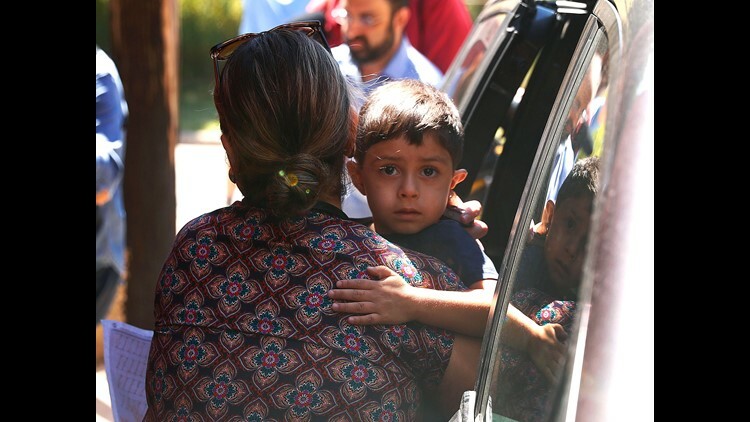 Last month, Sabraw ordered the Trump administration to reunite nearly 3,000 children separated from their families, most under the president's "zero tolerance" policy that went into full effect in May. Sabraw ordered that 63 children under age 5 be reunited by Tuesday night. All other minors must be reunited by July 26. Department of Justice lawyers asked for an extension of Tuesday's deadline. They argued that several federal agencies mobilized as quickly as possible but face a daunting challenge that includes complicated cases. During a court hearing Tuesday, Sabraw didn't budge, telling the government his deadlines were firm, not merely "aspirational goals." He asked an American Civil Liberties Union attorney who led the lawsuit to file suggestions for punishment, which Sabraw is likely to rule on during a court hearing Friday. 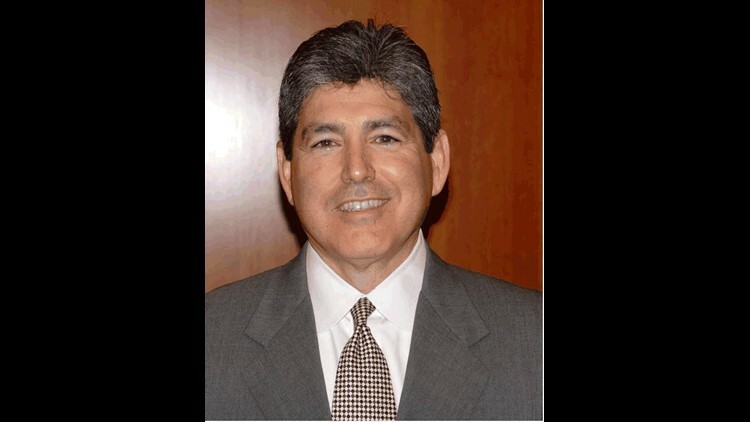 "Having that hanging over their heads is a great incentive to take a whole agency and move quickly," said Ira Kurzban, a Miami-based immigration attorney who signed onto the amicus brief against the government. Stephen Legomsky, a professor emeritus at Washington University School of Law in St. Louis, said the judge could threaten to jail lower-ranking officials who carried out the family separations or struggled to reunite the families. Kurzban, Legomsky and other legal experts said such threats are highly unlikely, given the legal challenges they would prompt and the public spectacle they would create. U.S. courts have long endorsed "sovereign immunity," a legal principle that generally insulates government officials from lawsuits. Congress has created some exceptions, but those are rare. Alexander Stern, a California attorney who polled a half-dozen law professors on the possibility of jail time for Trump administration officials, said they all agreed that seeking jail time for Cabinet secretaries would distract from accomplishing the goal of reuniting all 3,000 families. "Sessions is a very powerful man," said Stern, founder of the legal research group Attorney IO. "Trying to throw him in jail would be unprecedented. You'd have 40 percent of the country seeing that as a constitutional crisis. If the judge sees a pathway to getting most of what he wants in a reasonable amount of time, I think he'd choose that." U.S. District Judge Dana Sabraw, based in San Diego. Another option for Sabraw is to fine the government. He could order a certain amount each day that it remains in violation of his order, or for each child that remains separated from the parent. Though it may seem counterproductive for one arm of the government (the judicial branch) to receive money from another arm of the government (the executive branch), there could be a way to use those fines to help the separated families. Legomsky said there are legal procedures that allow a judge to direct money collected through fines to private groups assisting victims of a class-action lawsuit. "The fund would have to be specifically earmarked for use in helping the reunified families recover from the trauma that the government has caused them," he said. The challenge facing Sabraw is that both of those options – jailing or fining federal officials – are incredibly rare. Nicholas Parrillo, a Yale Law School professor, wrote a Harvard Law Review article in January on the history of contempt and had to go back to the 1950s to find examples of judges even threatening to imprison agency heads. Although judges have imposed fines on federal agencies more recently, Parrillo found that the dispute was always resolved before any significant fines were paid. "The rarity is partly because these kinds of sanctions run up against uncertainties about whether they're legal and prudent against the federal government, but it's also because public officials and government attorneys have considered it shameful to be found in contempt – sanction or no sanction – and they’ve sought to head off that humiliation by working hard to convince the judge they’re doing all they can to comply," Parrillo said. Another option for Sabraw is ordering the heads of government agencies to fly to San Diego and appear in his courtroom to explain the actions of their agencies. Kurzban said that would only be symbolic but could work as a way of embarrassing the Trump administration and prompting it to reunify families faster. "The point would be (for Sabraw to say) 'The buck stops with you,' " Kurzban said.